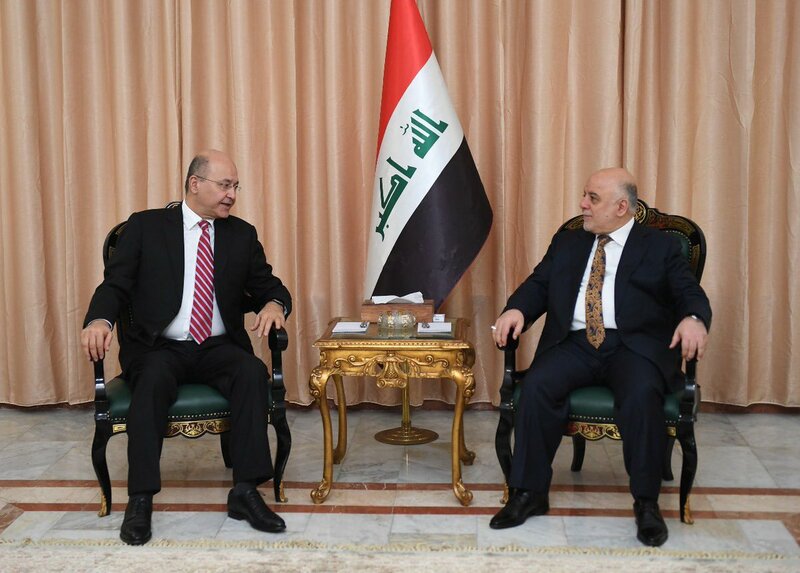 President of the Republic Barham Saleh on Saturday held a series of meetings with political leaders in the capital Baghdad, in which he mobilized support for Prime Minister Adel Abdul Mahdi to complete his government formation. 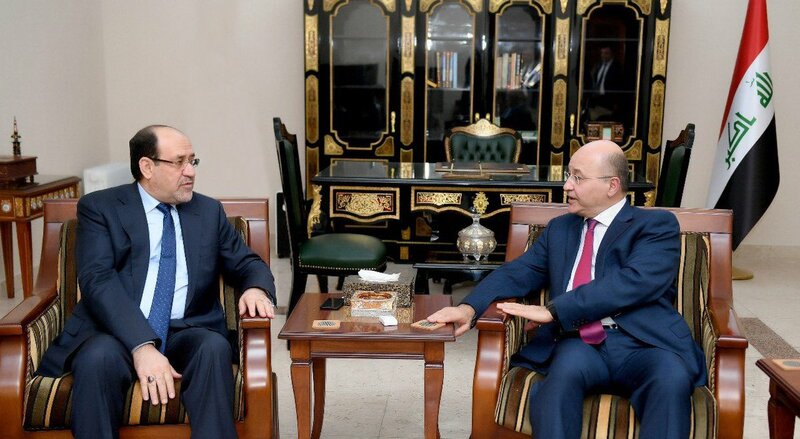 Saleh had met earlier in the day with: the leader of the coalition of state law Nuri al-Maliki, and the leader of the current “national wisdom” Ammar al-Hakim, the head of the coalition, “victory” Haidar Abadi, and the head of the “National Axis” in the House of Representatives Ahmad Abdullah al-Jubouri. Abdul-Mahdi is scheduled to submit to the House of Representatives the names of candidates for cabinet posts for the remainder of his cabinet. 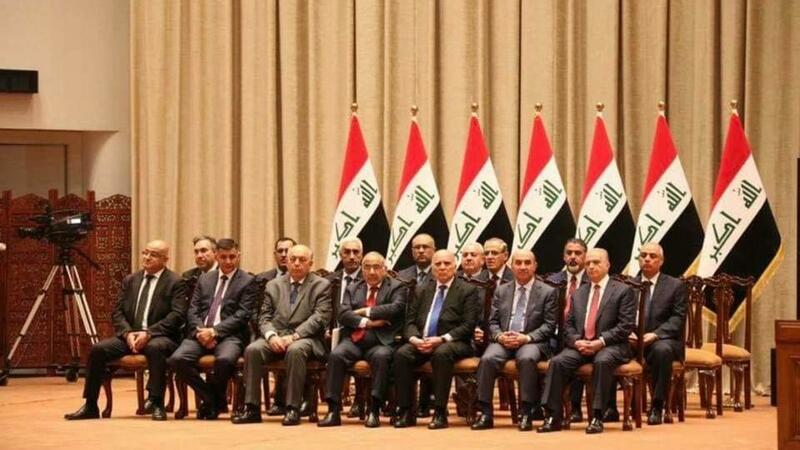 The Iraqi parliament voted at the end of last October on 14 ministers from the new government of Adel Abdul Mahdi, while delaying the vote on 8 ministers. Parliament postponed the vote on the ministries of defense, interior, culture, education, justice, planning, higher education, and immigration due to disagreement over its candidates. 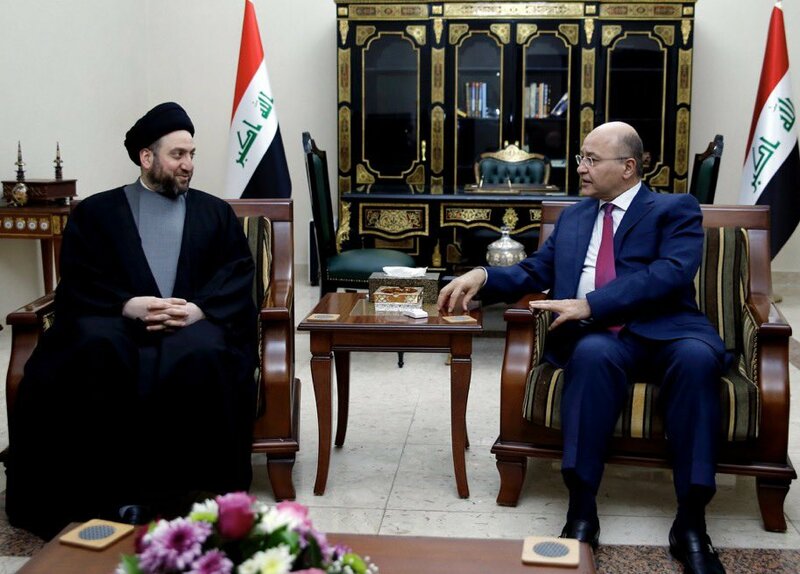 “We have given absolute freedom to Prime Minister Adel Abdul-Mahdi to choose the names of the cabinet cabinet and he is keen to respect the balance,” he said. The Investment Authority of Baghdad announced on Saturday investing “the highest and largest” glass ball in Iraq. “TownCenter Mall is an international brand of clothing, perfumes, local brands, first class restaurants, cafés and games,” the agency said in a statement to the company. “The total area of the project is more than 15,000 meters. The first, second and third floors of the project include shops for international brands such as French broche, Italian Terranova, Italian Giorgio Armani, Abdul Samad Al Quraishi and Gulf perfume companies. Restaurants and the fifth floor will include a city of modern games of multiple originals from Spain, Italy and China has reached the site of the project recently. The MP for the Alliance of Reform Riad al – Masoudi, Saturday, Prime Minister Adel Abdul Mahdi told the political blocs that he would resign or go towards the national option in the selection of ministers in the event of failure to reach a political agreement to complete his booth ministerial during the session next Tuesday. The construction coalition expressed its desire to act as a larger bloc and bid farewell to coordination with the bloc and go to the parliament to complete the formation of the government. The MP for the alliance Fath Ahmed Kanani has revealed, on Saturday, the existence of an internal Kurdish conflict on the Ministry of Justice, indicating that the Kurdistan Democratic Party strongly objected to the granting of the Patriotic Union of Kurdistan Ministry. deputy of the National Wisdom Movement, led by Ammar al-Hakim, Saturday, that the Cabinet will be offered the remaining cabinet next Tuesday, while noting that some are looking for personal and partisan interests. The MP Salim Tahmayr said in an interview with “Mawazin News” that “the political dialogues between the political blocs and Prime Minister Adel Abdul Mahdi, continuing to resolve the agreements on the submission of candidates for the remaining ministries in Tuesday’s session,” noting that “according to information will be submitted candidates of the eight ministries on Tuesday next “He said. It is noteworthy that the House of Representatives decided to postpone the session of granting confidence to the candidates of 8 ministries left in the cabin Adel Abdul-Mahdi ministerial to next Tuesday, after it was scheduled to be held last Tuesday. The House voted earlier to give confidence to 14 ministers in the cabin Adel Abdul Mahdi, while the vote was postponed to the candidates of 8 ministries, including the defense and the Interior. Rafidain Bank announced on Saturday that the employees of the state departments, whose salaries are settled electronically at the bank, are covered by advances and other banking services. The statement said that the advances have been disbursed for the preparation of large state employees and retirees who carry electronic cards issued by the bank exclusively.